IN THE past year, the impact from projects and patient support services delivered by the Gold Coast Hospital Foundation has reached more than 95,000 children and adults patients. The foundation runs the cancer patient transport service, emergency accommodation for families of seriously ill children and adults, buys medical equipment and aids, and funds cutting-edge health research as well as education and scholarships for Gold Coast Health staff. says the foundation exists to relieve distress and hardship for patients and their families. 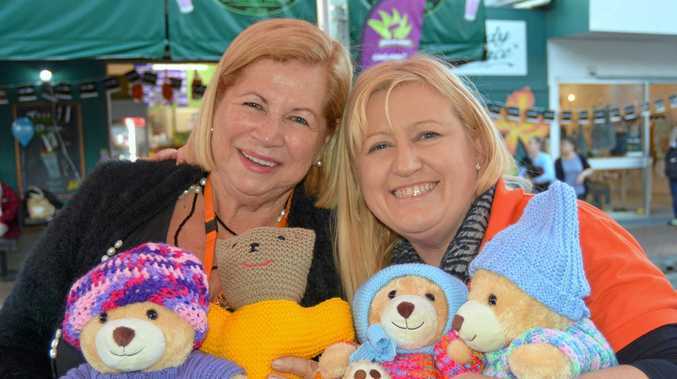 "The foundation is a local community health-based charity and the official channel for the public to donate funds towards the Gold Coast Health Service," events co-ordinator Carol Podesta said. "The foundation receives no government subsidy. "We work with our valued supporters, corporate partners and the Gold Coast community to raise crucial funds through donations, events, appeals, bequests, regular giving and other fundraising activities." Coming up on August 4 is the foundation's biggest event of the year, the Hospital Heroes Gala Ball. "The gala ball in Southport will be an unforgettable night of fabulous entertainment, food and prizes that offers a glamorous Hollywood experience and celebrates the many heroes who dedicate so much to patients they care for." All proceeds will help the Gold Coast Hospital Foundation. "In the past three years in my role of events co-ordinator, I have been inspired by the foundation's core values of 'passion, dynamic, accountable and quality' to help our community overcome medical hardship." "I do my bit through organising fundraiser events like this gala ball. I am always meticulous about delivering a quality experience. It really makes a difference when I smile, and act helpful and friendly to our donors and supporters." The foundation was established in 1994 and has raised more than $15 million for Gold Coast public hospitals and health care during this time. "We have a dozen active volunteers who help promote the foundation's good work," Carol said. "The foundation is always looking for passionate locals who are keen to help our not-for-profit charity by volunteering at upcoming fundraising events throughout the year." "Volunteering for Gold Coast Hospital Foundation is a wonderful way to make a real difference in your community." "We partner-up with local arts and craft organisations to sell baby knitted goods at our market stall in the university hospital foyer. These typically include wool beanies, scarves, blankets and socks. The Hospital Heroes Gala Ball takes place on Saturday, August 4, from 6pm for pre-dinner cocktails until 11pm at Southport Sharks Event Centre, cnr Musgrave and Olsen avenues. Dress is black tie "Hollywood". To book tickets, go to: gchfoundation.org.au/heroesball. If you would like to volunteer or donate to the foundation, contact Sabrina by emailing sabrina@gchfoundation.org.au or phone (07) 5594 6986.